I’ve said it before and I’ll say it again.. I’m a little addicted to shoes/boots. Three new perfect Autumn/Winter additions to my collection are all very different from each other and any I already own and they are all from New Look. New Look are really on top of their game at the moment. I used to shop there when I was around 14 and then seemed to grow out of it a bit and other shops like Topshop, H&M and Jane Norman became my ‘go to’ stores but now that has all changed. New Look is by far one of my favourite shops and I love to go in there and see what treats they have on offer. 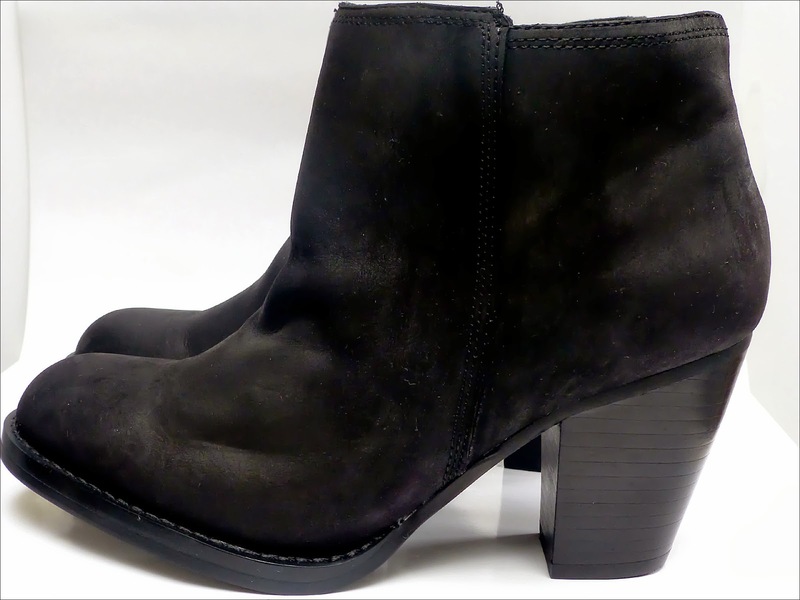 These black ankle boots are made from real leather with a rough, matte finish. The block heel means they should be comfortable to wear for several hours if not all day and they are perfect for both casual and evening wear. The boots have a round toe and black inside zip also. I love the simple, no fuss design and envisage me wearing these boots a lot of the coming months whether it be with skirts, dresses or trousers. These tan ankle boots are really unusual and nothing like any in my collection. In store I probably wouldn’t have thought twice about buying them but I actually spotted them on the new look website on one of the models and loved them. 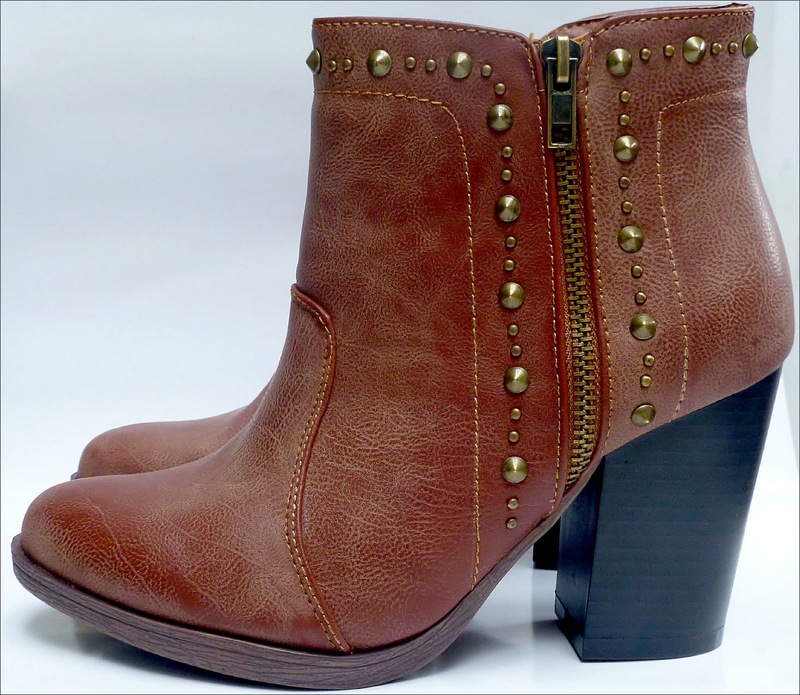 Again, these boots can be worn with skirts, dressers or trousers and could be worn for both during the day and evening. I love the double buckle detailing at the side, the cut outs and contrasting dark brown heel against the tan. I can’t wait to wear them! The brown ankle boots sport a distressed leather look and are an unusual shade. To me, they aren’t tan but aren’t quite brown either, instead somewhere in between. They have gorgeous gold stud detailing on the outta edge and top as well as a double zip on the inside and outside of the boot. The outside one is purely for decoration only. Again, these boots have a round toe and it is most likely I will wear them with jeans rather than skirts and dresses. The chunky block heel isn’t too high so these boots should be pretty comfortable to wear for a few hours. What boots are your favourite? Im also really loving new looks boot range this year, theyve got some really good designs and im never usually a fan of new look! I love the brown Stud boots. I think the size 3 will be too big for me though 🙁 I can never find cute boots in my size. Thanks 🙂 yeh they do seem to come up big in there but depends on the style. I got a 4 which is my usual size in the tan and brown but in the black had to get a 3. Ohh I really love the black ones….Fabulous! on bloglovin and via GFC ? The first are my favourite! I love ankle boots, I've bought two pairs this year, but really want some tan ones and some cut out ones!